The proposed system “Smart Asthma Inhaler” monitors the patients health conditions, tracks the location and the time the inhalers are used so as to provide suitable medication to the patients once the reports are analysed by the physicians involved. The Internet of Things (IoT) is the network of physical objects or “things” embedded with electronics, software, sensors, and network connectivity, which enables these objects to collect and exchange data. The IoT allows objects to be sensed and controlled remotely across existing network infrastructure creating opportunities for more direct integration between the physical world and computer-based systems, and resulting in improved efficiency, accuracy and economic benefit. Each thing is uniquely identifiable through its embedded computing system but is able to interoperate within the existing internet infrastructure. Needless to say that the current hype around the IoT is huge. It seems like every day a new company announces some IoT enabled product. Connected health remains the sleeping giant of IoT applications. The concept of a connected health-care system and smart medical devices bears enormous potential, not just for companies also for the well-being of people in general. Yet, connected health has not reached the masses. Health care access, affordability, and quality are problems all around the world. There are well-established disparities based on income and geography, and the high costs of health care present affordability challenges for millions of different people. Large numbers of individuals do not receive the quality care that they need. Mobile technology offers ways to help with these challenges. Through mobile health applications, sensors, medical devices and remote patient monitoring products, there are avenues through which health care delivery can be improved. These technologies can help lower costs by facilitating the delivery of care, and connecting people to their health care providers. Applications will allow both patients and health care providers to have access to reference materials, lab tests and medical records using mobile devices. These applications empower patients and health providers proactively to address medical conditions, through near real-time monitoring and treatment, no matter the location of the patient or health provider. The full system launched in 2014, called CareTRx, is a small cap equipped with sensors and on board memory that fits over the canister of most metered-dose inhalers. When a user presses down to deliver a dose, the on-board memory stores that data. Then when the user is near the mobile device the cap automatically connects and syncs to the cloud and to the product’s app. Lights around the cap illuminates when it is time for a dose. The app offers several features: a diary that tracks potential triggers, peak flow, and symptoms, miss-doses. 1. Count sensor: to keep count of the number of times the medicine is inhaled. 2. Air quality sensor: to determine the quality of air in the patient’s environment. 3. Doctors can prescribe the medications to the patient based on the data available in the cloud. 4. Doctors can also notify the patient regarding the fluctuations in the asthma pattern since the medication was prescribed. 1. A database has to be created to keep track, the complete history of the medications given to the asthma patients. 2. Monitor populations in one place and identify poorly controlled patients. 3. Review the trends for adherence, rescue use, peak flow, triggers and symptoms. 4. Access aggregated data to help discover new insights. 5. Reduces the hospital expenses. 6. 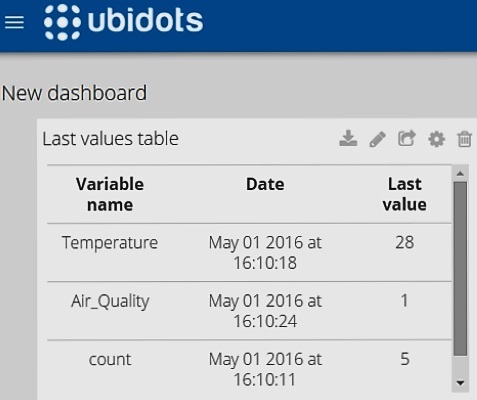 Analyze the air quality in the environment we reside in. 1. The project helps asthma patients to keep asthma under control. 2. If the patients agree to share their data, then other Asthma patients can know if they are suffering from similar type of asthma and take the medications accordingly. 3. The project also determines the impact of environment in triggering the asthma attacks. Smart Asthma Inhaler consists of two user interfaces. The user interface on the patient’s side is implemented as an Android based application. 1. Doctor accesses the data sent by the inhaler and can prescribe medication. 3. Accesses the database for medical history of previous occurrences. 1. Has to use the inhaler to send information and mobile application to send location details. 2. Make effective use of inhaler preventing overdose. 3. Receives immediate medical attention from a doctor, in case of an emergency. The data from the inhaler is sent to the cloud to monitor the asthma patients as in figure 1and 2. The temperature, Air quality level and the frequency of dosage intake when the asthma patient inhales the medicine is sent to the cloud. 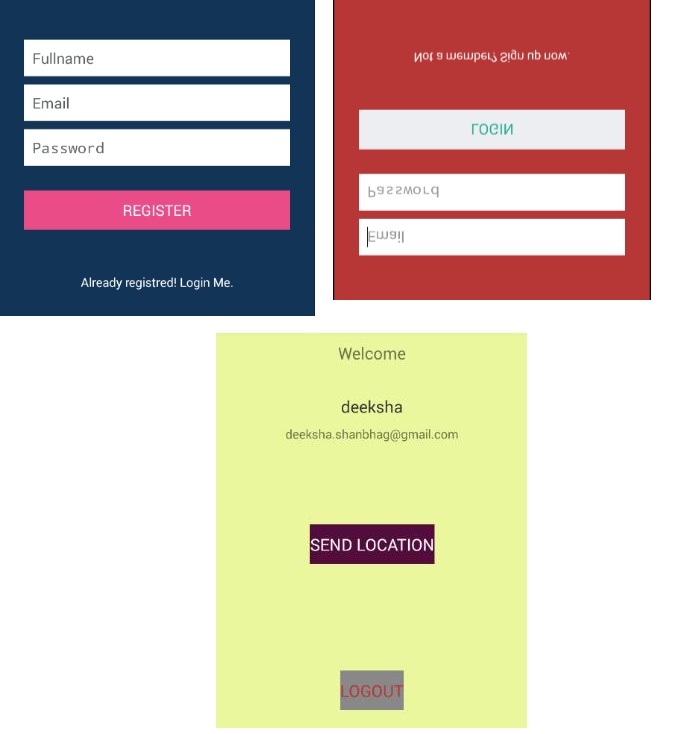 The mobile application is used for registration and to get the location details.Figure 4, 5 and 6: Mobile app to get mobile data. 1. Eliminate the use of mobile phones by fitting GSM (Global System for Mobile Communications) to the inhaler. 2. The smart device can be made much simpler in design i.e., less bulky. 3. Air Quality sensor can be tuned to show precise pollution levels in the environment. 4. An in-built power supply can be provided in the circuit itself for better life of the sensors. 1. Akdis, A. Cezmi and Agache, Ioana. 2013. Global Atlas of Asthma. [online], European Academy of Allergy and Clinical Immunology. Available at: http://www.eaaci.org/GlobalAtlas/Global_Atlas_of_Asthma.pdf [Accessed 13 Oct. 2016]. 2. Arvola, Mattias. 2016. Interaktionsdesign och UX – om att skapa en god användarupplevelse. 3rd ed. Lund, Sweden: Studentlitteratur AB. 3. Astma- & allergilinjen. Inhalatorer för barn. Available at: http://www. astmaochallergilinjen.se/barnastma/inhalatorer-for-barn/ [Accessed 5 Oct. 2016].